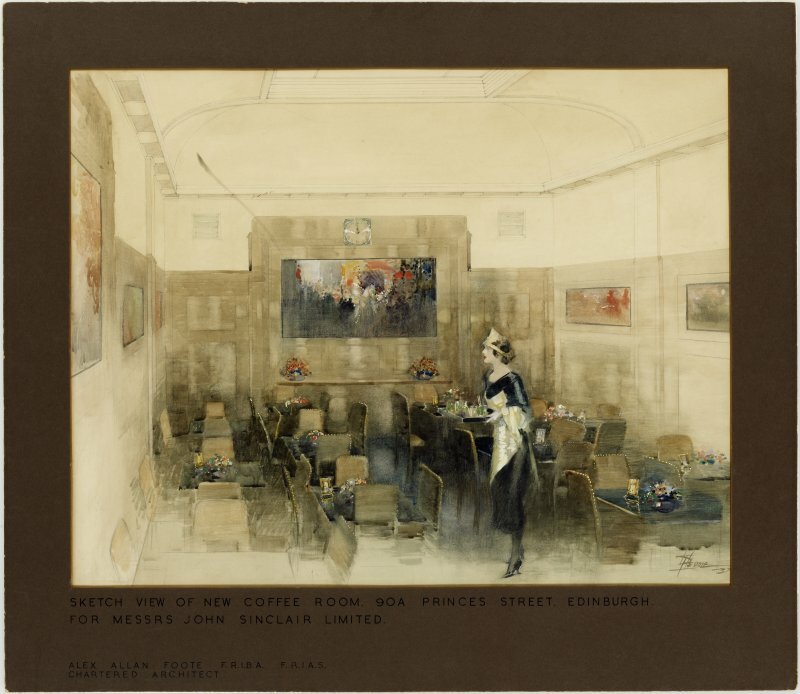 Drawing of Edinburgh, 90A Princes Street, coffee room for Messrs John Sinclair Limited. Perspective sketch of coffee room interior. Description Drawing of Edinburgh, 90A Princes Street, coffee room for Messrs John Sinclair Limited. Perspective sketch of coffee room interior.